I am nearing the end of my time in a doctoral program in translation studies, so I thought I would write a little bit about what it means to get a PhD in the field. In September 2006, I moved from Sweden to Wales in order to study at Swansea University. There are not that many schools yet that offer translation studies; more often, one must study a language or comparative literature. So what does it mean to be in a translation studies program? Translation programs on the BA or MA level generally focus on training translators. Such programs combine theoretical and practical work. Students improve their language skills, read and discuss translation theory, practice translation, learn about computer programs and terminology, and maybe get information about starting a company or working for agencies, and other such things. In other words, these kinds of programs are aimed at students who are good with languages and want to work in the field of translation. In a sense, translation studies might as well be totally unrelated. I have met many people who study or work in the field of translation studies and yet have never translated and have no intention of doing so (I tend to find this odd, but that is a different issue). In a Ph D. program, a student is being prepared to become a researcher, not a translator. As in BA or MA programs, students learn about translation theory, but by the Ph.D. level, they are expected to have (or to quickly obtain) in-depth knowledge about this. Students should already have extensive language skills. One doesn’t really attend courses, although this depends on what country the program is and what individual students require. For example, I chose to sit in on several classes about translation theory and the history of translation, mainly out of interest and a desire to refresh or extend my knowledge. Basically, one spends most of the time researching. Students must be independent and good at working hard and making their own schedule. Research what? Well, there are many different possible areas. One can research and analyze the translation of specific kinds of non-fiction or fiction works or specific types of language, the translation of a particular author, what it means to translate between two or more different languages, how translators feel about their jobs, what translators actually do as they work, how translators are or ought to be trained, how translators use (or don’t use) computer tools, how ideas of translation have changed over time, critiquing translation, how translation can be used to control certain populations, how translation can develop a target language, what conditions translators work in, differences in how translators and those studying to be translators work or think about their work, and much, much more. Remember that much of this can apply to interpreting too, which is generally subsumed under the field of translation studies, though interpreting studies as a separate field is growing, and also to subtitling. As an example, my own research has been focused on children’s literature and I have been particularly interested in how figurative language is used and translated in books for children from English to Swedish. I also know people who research the translation of medical texts between English and Chinese, and the translation of idiomatic phrases in non-fiction from Spanish to English, and the subtitling of talk shows. Some researchers use computer programs to help with their research (particularly if they need a large corpus of texts), while others interview translators or sit with them while they work, and still others focus on close analysis of texts. Those who are starting out in the field often spend a lot of time learning about translation theory in general and their particular field specifically. For example, in my first term or two in the PhD program, I read everything I could find on the translation of children’s literature, on translation in the colonial and postcolonial contexts (this was related to my need to learn more about translation and power), on functionalist theories and skopos, on translating dialects and wordplay, and related topics. Others might want to read about gender theories or issues of in/visibility or financial translation or interpreting in a legal setting or think-aloud protocols. The next step is picking one’s texts and starting the research and, of course, trying to find something new and important to contribute to the field. I use primarily textual analysis and statistical analysis, which means I study texts and their translations, and then compute how common certain translatorial strategies are. In the first term, students often begin writing literature reviews and chapters of their dissertation. Here, one’s supervisors should give detailed criticism on one’s writing style and ideas. In the first year, many students start attending academic conferences and sometimes even presenting at them. Conferences are an excellent way to learn about what research is taking place in the field and also to get feedback on one’s budding research. Next, one ought to try to get articles published. Attending and speaking at conferences and having work published are both essential when one is finished and looking for a job. Research trips may also prove beneficial; I spent two wonderful weeks at the National Library in Stockholm, studying various translations of work by Lewis Carroll and Mark Twain. I have really loved my time being a PhD student in translation studies. I have continued to translate, edit, write, and teach throughout my years in Wales, and that has been really stimulating for me, although many Ph.D. students prefer to focus solely on their research. It’s a lot of fun to research translation and to try to contribute to the field and in the future. I hope to continue combining research with being a practicing translator. B.J. Epstein is a Ph.D. student and a Swedish->English translator living in Wales. She's originally from Chicago, and lived and worked in Sweden for many years. She's also a friend of ours whom we had the pleasure of meeting in Vienna earlier this year. Don't miss her fantastic blog, Brave New Words. Now I'm trying to start a PhD in translation as well and I would like to focus on children's literature as well. This article helped me a lot on one point, thank you! Hello, very interesting. What job perspectives do you have after finishing your PhD? Do you think it would increase your chances of getting a better job? Join the conversation! Commenting is a great way to become part of the translation and interpretation community. Your comments don’t have to be overly academic to get published. We usually publish all comments that aren't spam, self-promotional or offensive to others. Agreeing or not agreeing with the issue at hand and stating why is a good way to start. Social media is all about interaction, so don’t limit yourself to reading and start commenting! We very much look forward to your comments and insight. Let's learn from each other and continue these important conversations. 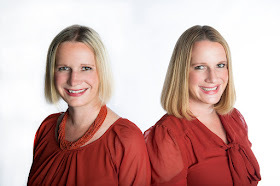 We (Judy and Dagmar Jenner) are a pair of identical translating and interpreting twins working in Spanish, German, English, and French (Dagmar only). We were born in Austria, grew up in a bilingual household in Mexico City, and run our translation, interpreting and copywriting business, Twin Translations, from Vegas and Vienna (Austria). In this blog, we dispense (useful) tips and tricks on how to run a translation and interpreting business. We frequently share what we know with fellow linguists via our "The Entrepreneurial Linguist" workshop. The "Entrepreneurial Linguist" book has sold more than 5,000 copies and is available on www.lulu.com. Judy pens the monthly "Entrepreneurial Linguist" column for the American Translators Association's Chronicle and also serves as a spokesperson for the ATA. She holds an MBA in marketing from the University of Nevada, Las Vegas. Dagmar has a graduate degree in French, an undergraduate translation degree and a graduate degree in French and Spanish conference interpreting from the University of Vienna. She is the president of UNIVERSITAS Austria Interpreters' and Translators' Association and is an accredited freelance conference interpreter for the institutions of the European Union, where she works in the German booth. Judy is a federally certified Spanish court interpreter, a master-level certified Spanish court interpreter in Nevada, a certified Spanish court interpreter in California, a registered German court interpreter in Nevada, and a past president of the Nevada Interpreters and Translators Association, and serves as the organization's professional development committee. She also teaches in the University of California San Diego's Extension translation and interpreting certificate program. If you want to advertise on our blog please contact us. The entrepreneurial linguists and translating twins blog about the business of translation from Las Vegas and Vienna.